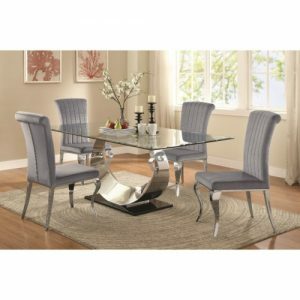 When you gather around this gorgeous dining set time will fly by. 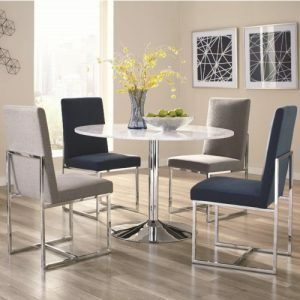 Featuring a table with a contemporary double pedestal geometric design base in white high gloss with brushed stainless steel and a glass table top, this table allows you to view its unique base while you sit and chat. 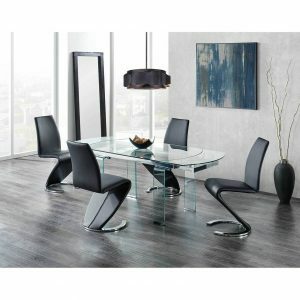 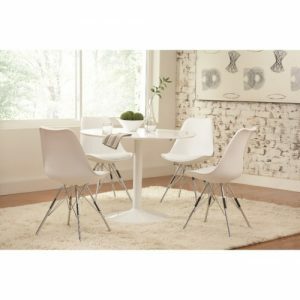 Four turquoise chairs provide comfy support, and swivel 160 to allow you to converse with everyone at the table.